Does it make me a bad wellness editor to admit that I am utterly clueless about "gut health"? My understanding of probiotics is elementary at best. I know that an imbalance of "good"-to-"bad" bacteria can spell disaster for my digestive system, my skin, and even my mood. I know to include yogurt, kimchi, and kombucha in my diet since they're all rich sources of the aforementioned "good" bacteria. But if you were to ask me the specifics of "gut flora" and how exactly probiotics work, you'd be met with a bewildered shrug. (And prebiotics? Forget it.) In all honesty, I've never been totally convinced that probiotic supplements work in the first place. And I'm not alone. "Probiotics are now the fastest-growing consumer health category in the world, but the increasing availability of 'probiotic' supplements, foods, and beverages has created a lot of confusion for consumers," says Ara Katz. 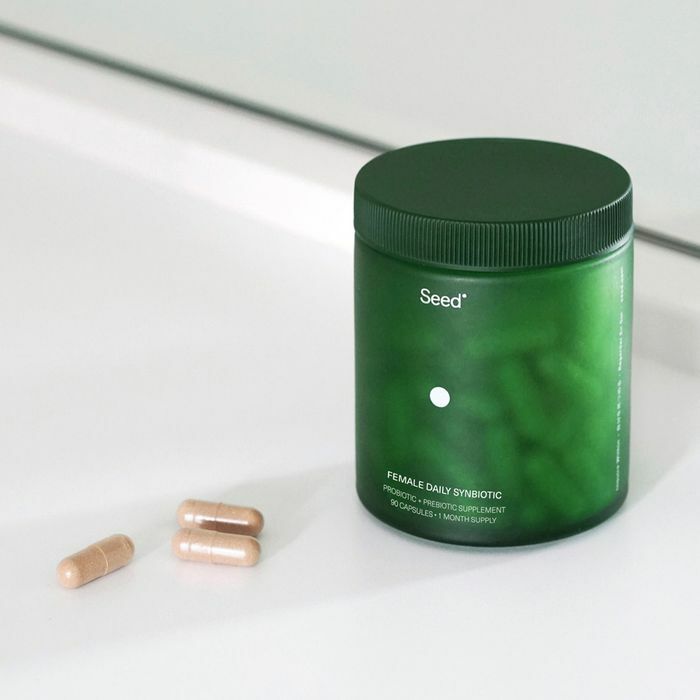 After co-founding the incredibly successful e-commerce platform Spring, Katz has since channeled her expertise into the wellness market with the launch of Seed, a buzzy new consumer health company that intends to reinvent the way we approach probiotics—namely by removing the guesswork surrounding it all. "We set out to develop a new standard in probiotics, introducing much-needed transparency, education, precision, and innovation to the category," she says. This journey began during Katz's own pregnancy. "I realized the white space between science and the products we're sold and the information we're told," she says. "Then, my breastfeeding experience ignited my personal mission to reinvent infant formula. These led us on a multi-year, multi-country journey to understand the importance of the microbiome and the potential of beneficial bacteria (well beyond gut health and infant formula) to improve both human and planetary health." "In collaboration with our chief scientist, Dr. Gregor Reid, we developed our Daily Synbiotic—the first in our pipeline of effective, scientifically validated probiotics that will continue to roll out in early 2019," says Katz. "And while most probiotics are intended to improve digestive function, we developed our Daily Synbiotic to deliver a range of clinically-verified, systemic benefits including cardiovascular and dermatological health." 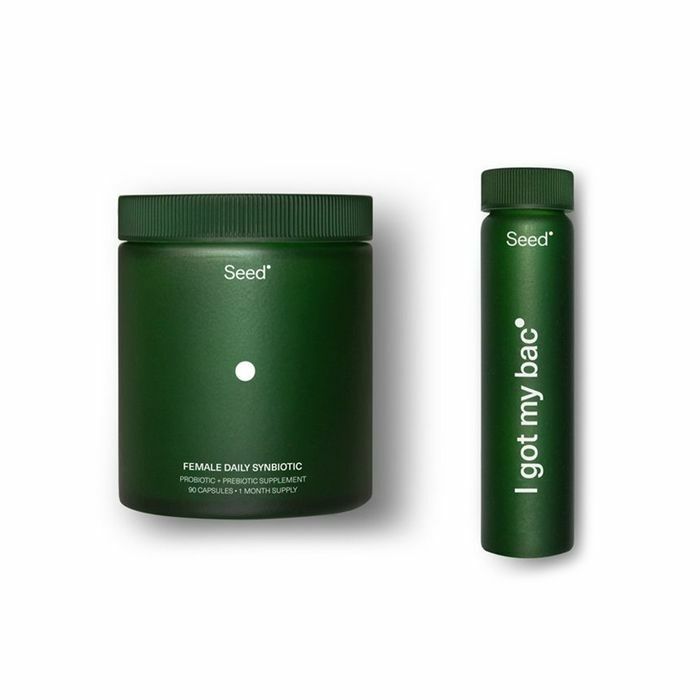 "The female body has an incredibly unique relationship with bacteria," says Jacques Ravel, Ph.D., the co-chair of Seed's scientific advisory board. "From the vaginal biome (where trillions of microorganisms balance pH) to the gut (where synthesis of key metabolites and vitamins like folate occurs), bacteria are involved in a woman's health from birth through key life stages and moments like fertility, pregnancy, and menopause." Folate is the nutrient to note here. "Folate is a critical vitamin—supporting the production and maintenance of red blood cells, as well as DNA," says Katz. "Specific microbes can synthesize a number of essential vitamins, like folate, inside your body. In the female body specifically, folate also plays a crucial role in pregnancy and preventing serious birth defects." But since a healthy balance of microbes in the gut can actually encourage the natural synthesis of folate, Seed's Female Synbiotic actually targets the microbiome in a way that increases folate production—the first of its kind. It's just one of the specs that establish Seed as a new standard for probiotics. "Most U.S. probiotics contain generic strains (or often only the species with no specificity of which strain) from the same contract manufacturers or dairy companies and have not been clinically studied in humans," adds Katz. "This next generation of probiotics will look beyond generic species and show how specific strains demonstrate an effect in the human body." And thanks to rigorous clinical trials that concretize the supplement's efficacy, you'll be able to feel those results right away—I noticed a positive change in my digestion the day after I started using my Synbiotic, which Katz says is the norm. I'm looking forward to experiencing some of the product's more long-term benefits, such as clear skin, a revved-up metabolism, and a more balanced reproductive system. But so far, the best side effect I've experienced is significantly diminished cynicism. This is a probiotic I don't just understand but, for once, fully believe in.